13,302 others viewed this post. I was helping to judge an astrophotography competition over at PhotographingSpace.com and I saw a wonderful, high magnification shot of this area I really liked. 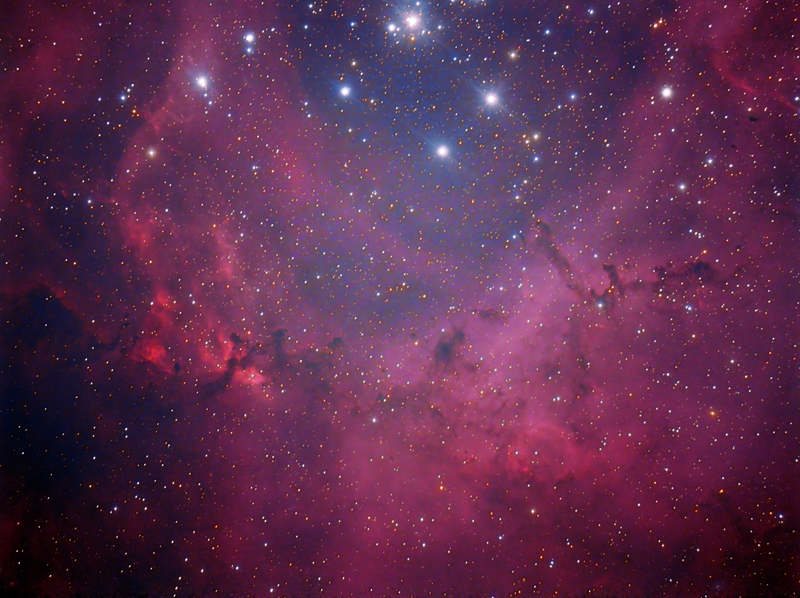 It’s the dark nebula around the inner core of the Rosette nebula but the long filament looks a little like a panther leaping into the void. I wanted to try something similar, with my own equipment and field of view. Frustratingly, it took 5 attempts over 5 nights! I’ve just tried again tonight, having reshot the entire thing over an hour. Still, I’m quite happy with the result. The bright blue baby stars glowing high in the funnel really seem cosmic, or heavenly – for want of better words.